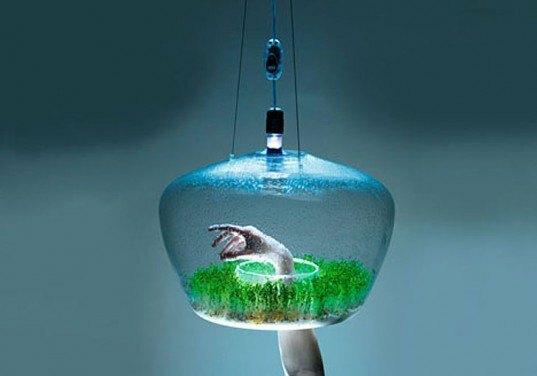 You might have noticed that we're huge fans of terrariums here at Inhabitat! They're a great-looking way to bring a little greenery into your living space. These mini ecosystems are no fuss, mostly take care of themselves, and are perfect for busy lifestyles. 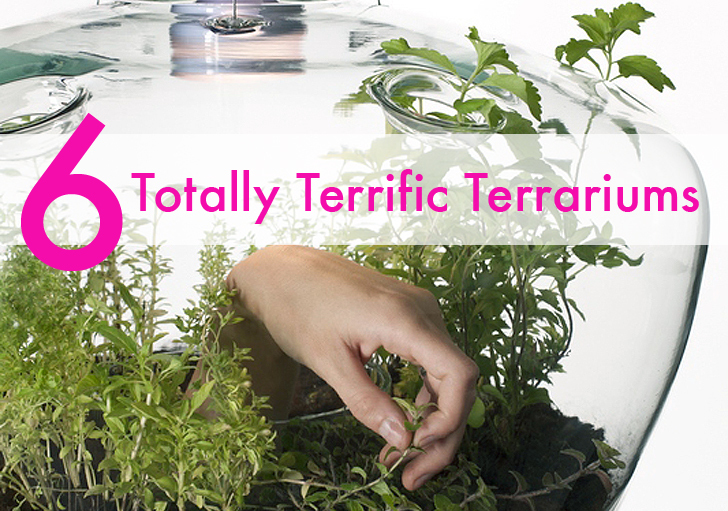 Read on for an array of stylish terrariums to ogle - and learn how to make one yourself! Brooklyn based artist and landscape designer Paula Hayes’ terrariums are an impressive combination of greenery and sculpture. Her high end work can be found in the lobby of the MoMA and at Marianne Boesky Gallery, inspiring art lovers to appreciate the art of nature. 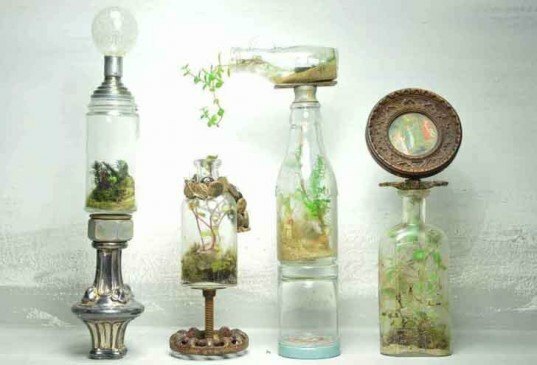 Philadelphia artist Jose Agatep repurposes bottles, vases and jars of all sizes into unique terrariums. The tiny ecosystems are made from his thrift store and flea market finds, which he then resells at his shop, adorably called The Slug and the Squirrel. 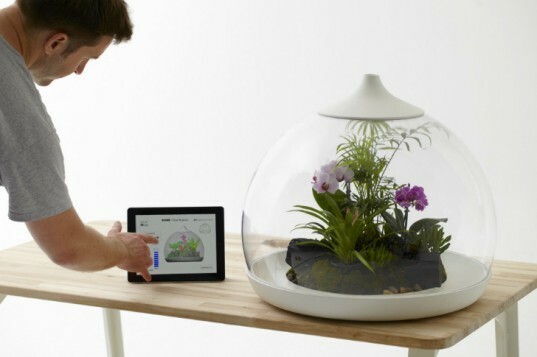 For the tech geeks, the Biome Terrarium lets you control the ecosystem inside with a touch of your iPad or smartphone. You can adjust the lighting, climate conditions and water to suit any kind of plant, and have a mini tropical garden, desert or edible herbs right inside your apartment. Fort Standard’s TERRA Terrarium is like no other. The glass and wood icosahedron lets you admire your plants from 360 degrees. It even comes with its own stand, making a your plants the focus of your room. 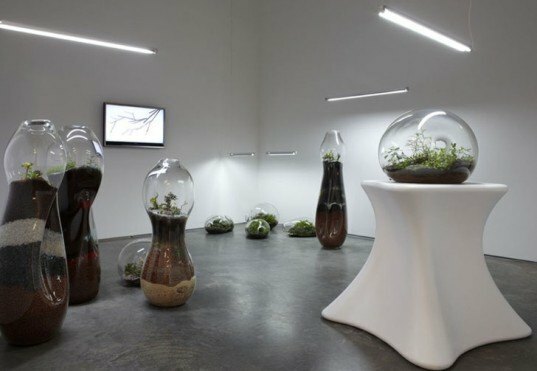 Kristyna Pojerova’s Glasshouses combine an orb like pendant lamp with a terrarium. The bulb lights up your room, while also letting the plants perform life giving photosynthesis. Healthy plants can grow right through the top of the lamp through tiny holes. Perhaps the coolest terrarium is one that you can wear yourself! Late last year, Ecouterre taught us an easy way to carry a garden with us, with a miniature DIY terrarium necklace. Loving it, I am designing four distinct environs in one sculpture, four separate terrariums incorporated into a rain barrel. TERRA Terrarium Fort Standard’s TERRA Terrarium is like no other. 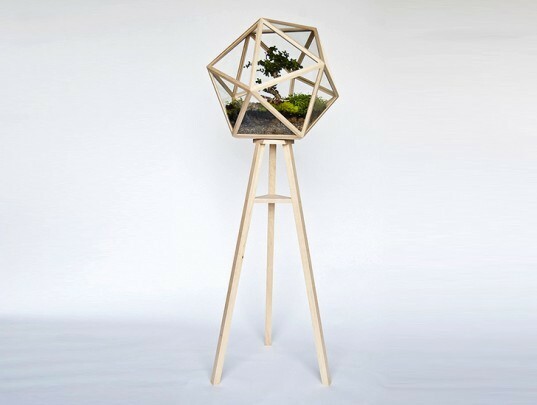 The glass and wood icosahedron lets you admire your plants from 360 degrees. It even comes with its own stand, making a your plants the focus of your room. DIY Terrarium Necklace Perhaps the coolest terrarium is one that you can wear yourself! 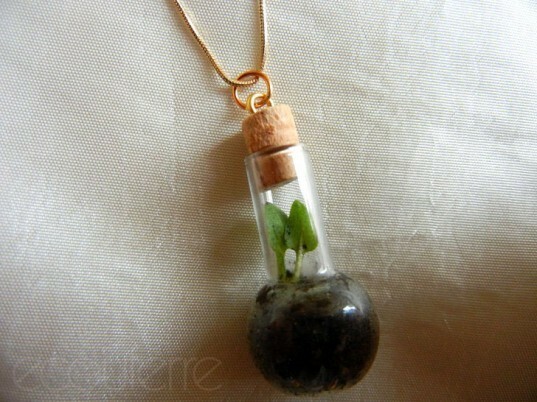 Late last year, Ecouterre taught us an easy way to carry a garden with us, with a miniature DIY terrarium necklace. Now you can infuse some greenery into your life- or even onto yourself! Now you can infuse some greenery into your life- or even onto yourself!